Grape hyacinth, also called muscari, is a very ornamental bulb flower. Caring for these plants from planting to blooming is easy and their decorative effect is guaranteed. Plant them in large groups to form clustered spots of color. These bulbs must be planted in fall. You can spread them across different exposure levels, this will stage their blooming. Favor full or part sun exposure. 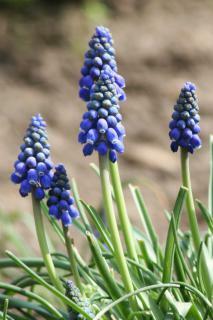 Grape hyacinths bulbs are planted about 3 times as deep as the bulb is tall. 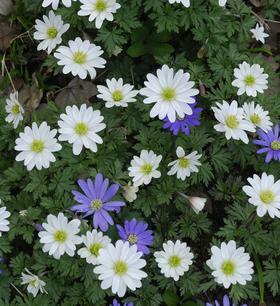 They resist cold temperatures very well, and can even cope with snow. Letting the flowers bear seed and drop means that the plants will re-seed themselves on their own. 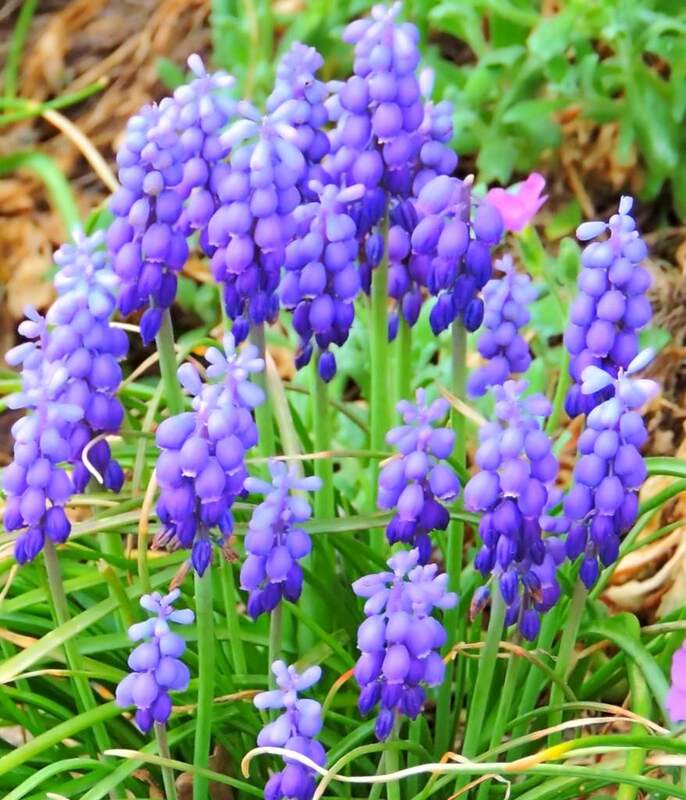 Grape hyacinths are bulb flowers that don’t require any specific care. 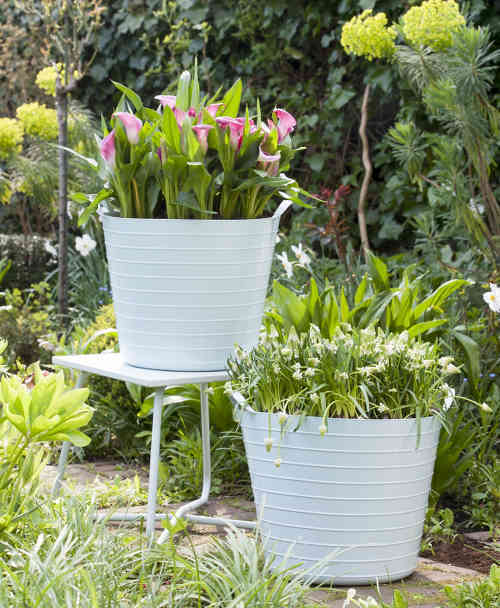 For grape hyacinths grown in pots, remember to water as soon as the surface soil is dry. The following best practices will help you have beautiful sustained blooming over the years. Cut the leaves back only when they have turned yellow. 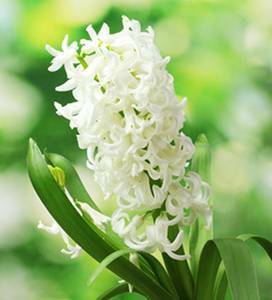 Divide the bulbs every 3 or 4 years to regenerate the grape hyacinths. Soil conditioner added in fall will make blooms denser and more abundant. This little plant is special for its cute small bell-shaped flowers. It is perfect for flower beds, along edges, or in rocky ground. When they grow to greater numbers, they form a magnificent colored carpet. Plant several dozen bulbs in the same place and the resulting effect will be amazing. The species that is most common in gardens is Muscari armeniacum or Armenian Muscari. It is also often called the Mediterranean muscari. There are other amazing grape hyacinth varieties, such as Muscari botryoides, Muscari neglectum, and more. Depending on the variety, some grape hyacinths can grow anywhere from 8 to 24 inches (20 to 60 cm), but most grow to an average height. 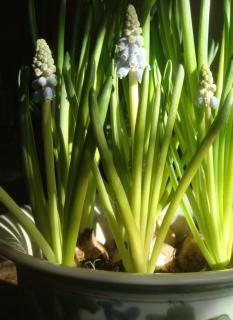 Grape hyacinths are often sold in flower shops for indoor blooming in winter, but these are usually forced. This forcing makes them bloom earlier, but usually weakens them to the point of not being able to survive, even if planted outdoors. In a garden every year these small flowers will compete with your narcissus as to who will bear the first flowers of spring! No need to water, grape hyacinths don’t need it unless they’re grown indoors where it doesn’t rain!